When it comes to my environment, I’m very particular and love to have different scented candles in my home to fragrance each room and feel completely relaxed. I’ve always loved fig scented candles but I recently came across Di Palomo’s great combination of Wild Fig & Grape, which is a truly winning formula. The sweetness of the grape adds to the earthy scent of the fig creating a fresher, more summery feel. It has top notes of grape & gardenia. Middle notes of ripe fig, orange blossom and mimosa rand and a base of sandalwood, amber and vanilla, giving it a depth that makes the scent remain for hours after use (and it will last up to 30 hours!). These are undoubtedly luxury candles, hand poured in Di Palomo’s Devon factory, and made from 100% natural vegetable wax with a rich Olive Oil base and the maximum percentage of fragrance that can be blended into a candle. It comes in a beautiful date wood bowl that looks great in any room and you can keep afterwards, making it a great gift choice or indeed a treat for yourself…If you like candles you’ll love Di Palomo candles. For more information go to www.dipalomo.com. 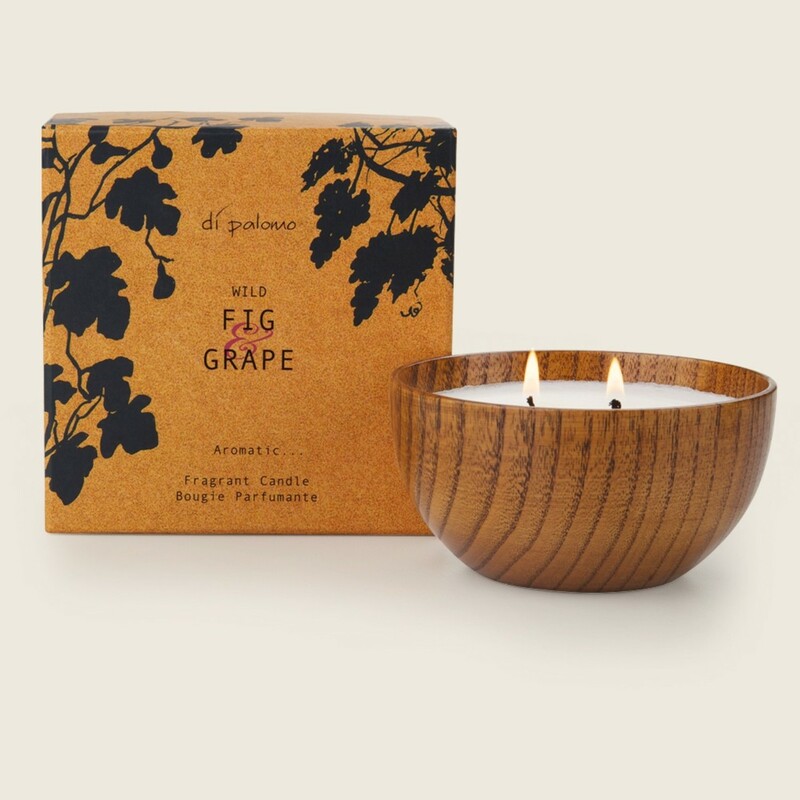 The Wild Fig & Grape Fragrant Candle (Wooden Bowl) is priced at £20.00 and is approximately 12cm Diameter. It burns for up to 30 hours. This entry was posted in Wellbeing and tagged Di Palomo, exotic, fragrant candle, hand poured, olive oil, seductive, vegetable wax, Wild fig and grape. Bookmark the permalink.